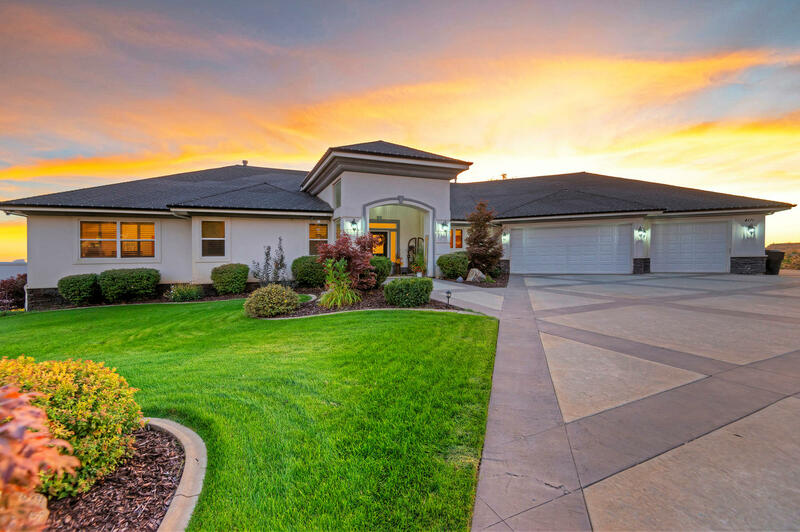 Linda Secrist & Associates have the best selection of affordable and luxury homes in the State of Utah. We have access to all Utah Homes, and our listings will please the “First Time Home Buyer”, as well as the most discriminating Luxury Home Buyer. Call or Text us and let us help make your home shopping the most memorable experience ever! What better gift to yourself and your loved ones than a NEW HOME? Luxury Homes Sale In Utah -Absolute perfection lives here in this lovely quality 2-story in Cottonwood Heights. You’ll find a fabulous open and spacious floor plan with vaulted ceilings, a large main floor family room/W fireplace, a gorgeous updated kitchen with new high-end appliances; granite counter-tops and hardwood floors throughout the main floor and stairway. A Master Suite with a desirable walk-in closet is calling your name. The walk-out basement has recently been completely finished and entertaining will be a joy on the wonderfully constructed newer deck. This home is located on a beautiful flat street with loads of curb appeal, great city views and a superb private yard. COME SEE! YOU’LL LOVE IT! Luxury Homes For Sale In Utah- *Buyer Failed to Qualify* Former model home is back on the market. *Last Laurel Rambler left! Entire project nearly sold-out. HIGHLY sought area and floor plan. Hurry, this won’t last long! Fabulous main floor living floor plan for those looking to downsize, a second home, ski home, or just want an executive style home with so many upgrades included in price! Chefs kitchen includes 6 cm granite block island, stainless steel appliances, upgraded cabinetry with soft close drawers/doors, all open to the stunning great room with beautiful gas fireplace, vaults and dining area, plus large walk in pantry, convenient laundry room on main and over-sized master suite with large walk-in closet plus a 2nd full bathroom on main could allow for the main floor office to become a 2nd bedroom on main. There is just too much to mention about all the features in these lovely homes. Room to finish another bedrooms downstairs. *All info subject to change and verification. Luxury Homes For Sale In Utah– Transitional European Masterpiece build with a combination of Northwest kiln dried cedar, concrete overlay flooring, 80 custom Windsor windows and steel; all unique features to create a stunning custom luxury home perched high on the East bench with total panoramic city views, as well as privacy to enhance your outdoor enjoyment of the pool and indoor/outdoor living to the max with decks and patios that enlarge and enrich the quality of living. Gourmet kitchen with premier appliances, cherry wood custom cabinets and gorgeous Quartz counters and the best of the best finishes throughout. So many extras you must see, including 3 bedroom suites with a flex room that could be used as 4th and 18 banks of floor to ceiling windows making this home light, bright and full of energy. An impressive 24 ft retractable glass door provides seamless indoor/outdoor living. World class and one of a kind custom wine cellar has the ability to hold over 3,000 bottles in a climate controlled Johnson air system. 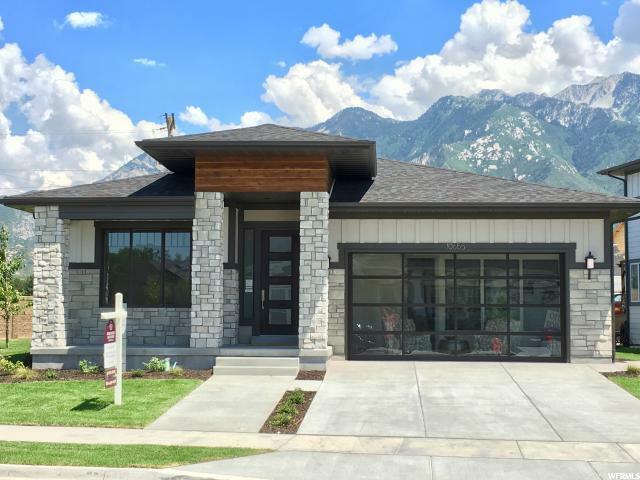 Hiking trails right at your back door and located just a couple minutes from the belt loop with convenient access to several Ski Resorts, Salt Lake International Airport and the downtown Salt Lake area. Luxury Homes For Sale In Utah– Custom Mountain Traditional with panoramic views, grand foyer, gorgeous circular staircase, soaring ceilings and travertine flooring. Main level living with an impressive luxury master retreat with a private deck and incredible mountain and valley views. Chef’s kitchen with premier appliances, custom cabinetry and granite counters. High-end finishes throughout, beautiful molding, hardwood flooring, and granite and travertine in each bathroom. Lower level walk-out with stunning $100k theater room (featured in several publications), second full kitchen, mother-in-law apartment and large game room for entertaining. Desirable location just 12 minutes for world class ski resorts and walkable to the ski bus stop. Wow, the views, this is a must see! Luxury Homes For Sale In Utah- What a RARE FIND! Why go to the mountains when they are practically in your back yard! One of a kind custom designed home on a quiet cul-de-sac with huge picturesque windows throughout the home with unobstructed mountain views. Stunning grand entry with custom wrought iron banister and railings, soaring ceilings throughout with ceiling medallions around each chandelier and an impressive custom wrought iron entryway chandelier. High-end finishes throughout including large crown molding, custom cabinetry with dental molding and carved counter pedestals, gorgeous chef’s kitchen with premier appliances, stone range hood and backsplash, granite counters throughout, double ovens and two Bosch dishwashers. Luxurious master retreat with vaulted ceilings, oversized windows, sitting area and a spacious walk-in closet. Walk out lower level with a rec and theater room with stadium seating…perfect for entertaining! East facing professionally landscaped backyard with mountain pines and a tranquil waterfall, stream and pond. Oversized 3.5 car garage with space for a workshop or your toys. Incredible location close to ski resorts, outdoor recreation, hiking trails, shopping and entertainment. There’s so much more to this home….call for a private showing! 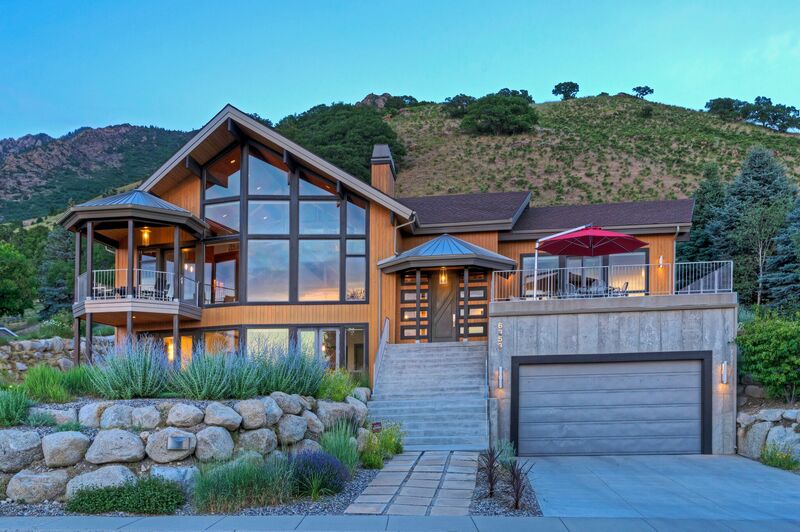 Luxury Homes For Sale In Utah- Enter through the front door to a totally open, vaulted ceiling great room with two-story floor to ceiling glass with spectacular views over Pleasant View. Heated flat driveway, impressive kitchen and granite throughout. Easy front entrance with two bedrooms on the main make this home ideal for the luxury “empty nester”. Commercial type building with a breezeway connecting the attached 2 bedroom 2 bath apartment. Huge rooms with soaring vaults and tons of light through an abundance of windows and views. Two-story waterfall and covered patio complete the luxury living. Such a custom quality home is hard to find. So much for so little – Hurry!